Following the release of its sophomore album, 2009's A New Hope, Boston, Massachusetts' Vanna was subjected to a laundry list of challenges and misgivings that would have destroyed less stubborn and resilient bands. First came the always traumatic vocalist swap -- former singer Chris Preece split and was replaced by ex-Seeker Destroyer frontman Davey Muise -- and next the band was dropped by Epitaph Records; but they quickly found a new home at Artery Recordings, put their heads down, and released third album And They Came Baring Bones, in the summer of 2011. Turns out that, musically, not much has changed in the Vanna world aside from the person behind the microphone, and token tracks like "I the Remover," "Breathing at the Bottom," "Silver Sun," and "Eyes Like the Tides" boast most of the familiar, melodic metalcore culprits: contrasting hard and soft sections, Cookie Monster rough and emo-clean singing (some provided by lead guitarist Evan Pharmakis), and impressive technical chops to handle the many distinct passages and sharp transitions between them. True surprises are nowhere to be found, but stand-out songs do rear their heads (so do forgettable ones - e.g. "I the Remover" and "Careless Men Lead Careless Lives"), namely the uncommonly punchy, tormented "History on Repeat" and the densely sculpted post-metal-inspired quasi-ballad "Scarlet Shroud," which is a welcome departure and proof positive that Vanna may yet enjoy life beyond metalcore. In fact, it's fair to say that the tortuous trail leading to Vanna's third album pretty much mirrors that of the metalcore movement, which for years now has been teetering on the brink of either endurance or irrelevance, depending on who you ask. From purely commercial and critical standpoints, the typical answer is definitely a big "who cares? 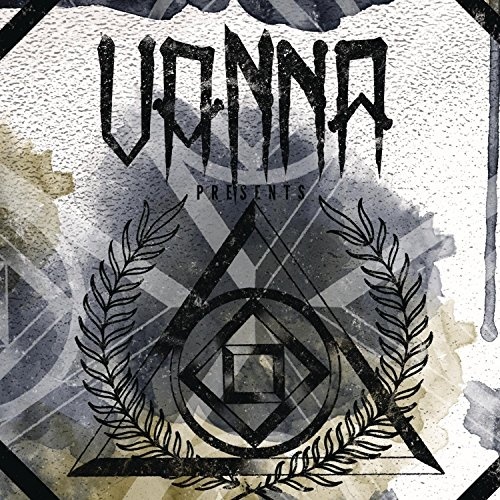 ", but for the listening minority who still feels passionate about metalcore's basic blueprint, Vanna provide another engaging example thereof with this album.